Finest quality xtra thin (same as silver Rizla /Swan), slow burning flax/hemp paper with natural vegetable gum, Rips are the Original Smoking Paper on a roll. Simply pull it out the box and rip it off when you get the size you want. 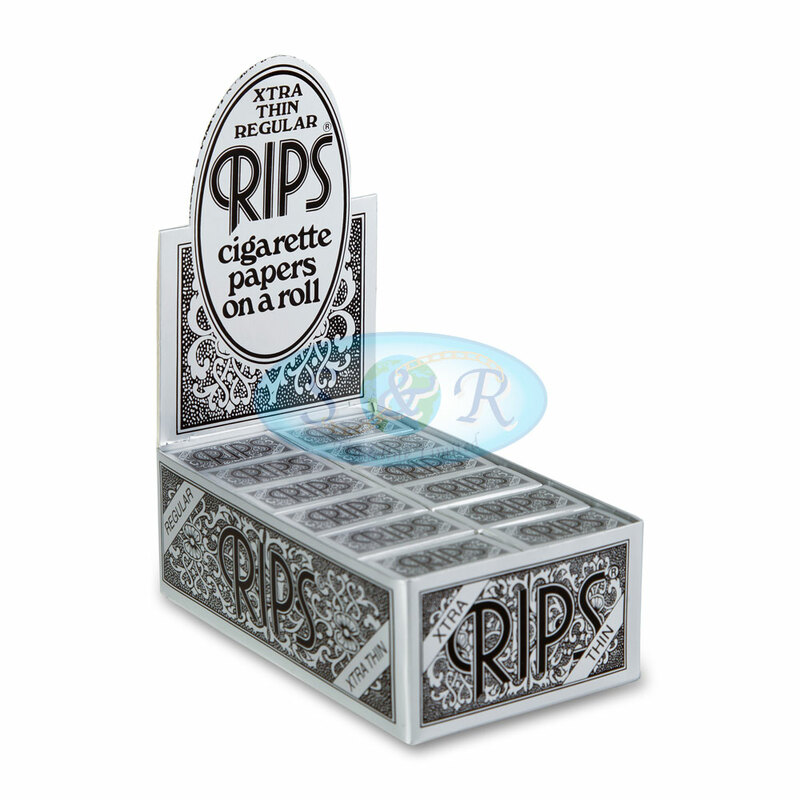 Along one side of the paper you will find a strip of natural Arabic gum that provides you with a perfect seal on every one of your smokes, it also means that you have no additional tastes from your paper or gum while smoking, so you can really enjoy the full taste of your tobacco choice. You can be sure that your smoking paper will always be in great condition, as the rolls sits in a compact box that keeps the paper nice and tidy for you.